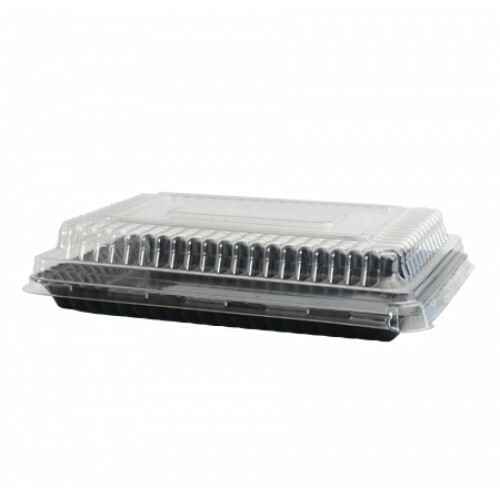 Pack of 3 Available in Black, Clear, White. 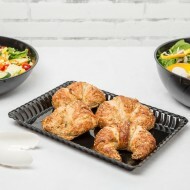 Reusable plastic serving trays. Measures: 9" x .. 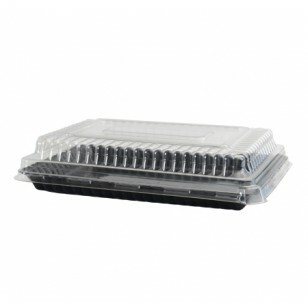 Pack of 100 Clear plastic Dome lid to fit 8 -10 oz drinking cups. 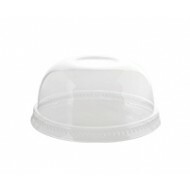 Measures: 78mm ..
Sold As Single 32 oz Clear plastic salad dome lid. 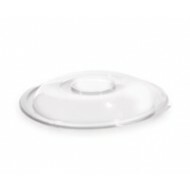 ..
Sold As Single 48 oz Clear plastic salad dome lid. ..